Armies - American Forces was commanded by Col. Asher Holmes and consisted of about 30 Soldiers. British Forces was commanded by Col. John Simcoe and consisted of about 300 Soldiers. Casualties - American casualties were estimated to be 20 killed or wounded. British casualties were unknown. 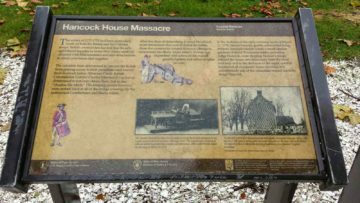 On March 18, a battle occurred about three miles from Salem at Quinton's Bridge when a force of 1,000 British regulars and Hessians and 500 Tories ambushed 300 Salem militia at the span over Alloway Creek. The militia lost as many as 40 men as they fled, many drowning in the frigid water of the creek. The British force was led by Colonel Charles Mawhood, who is remembered as the commander who lost the battle of Princeton to General George Washington 14 months ago. On March 19, Mawhood's troops occupied Salem, where he threatened to burn the town and turn the women and children over to the Tories if the militia did not lay down its arms. Calling Mawhood "Attila," Colonel Asher Holmes, commander of the Salem County militia, warned there would be immediate retaliation on Tory families in the area if anything happened to the wives and children of his men. Mawhood backed down. 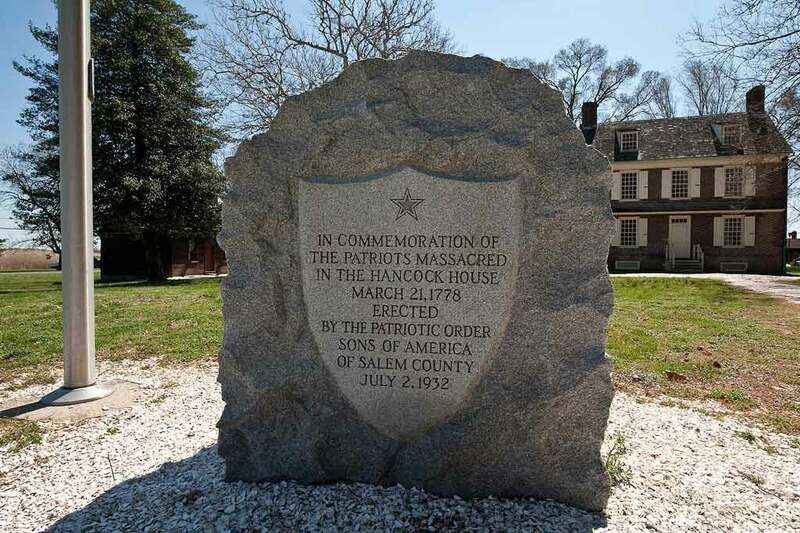 On March 21, shortly after midnight, and during a heavy rain when 300 Tories and Hessians surrounded the home of old Judge William Hancock at Hancock's Bridge. The militiamen were occupying the house as they guarded a bridge over Alloway Creek. After bayoneting the two sentries, the British raiders broke into the house through the front and rear doors and surprised the militiamen. Hancock and his brother, both staunch Loyalists, were bayoneted by the raiders in the midst of the slaughter. A 7-man American patrol was surprised along the creek and all but one of them were killed. Colonel Simcoe proceeded to plunder the entire neighborhood and then returned to the mouth of the Alloway Creek. Once there, he then sailed to Philadelphia. 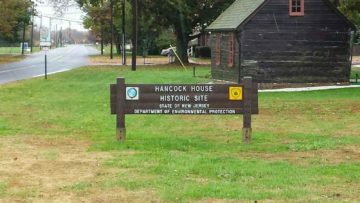 The militia had ordered Hancock out of the house, but he returned last night vowing to protect the property. 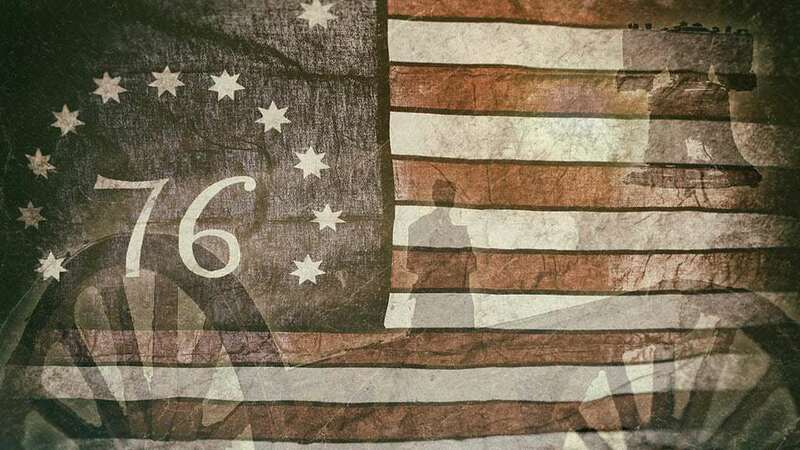 The American militiamen had little chance against the British raiders, a group of battle-hardened men who have carried out similar guerrilla missions in New Jersey, Pennsylvania, and New York. Shouting "Spare no one! Give no quarter!" Loyalist Tories and Hessians bayoneted a squad of militiamen who were sleeping there, as well as two civilians. Although the death toll remains unsettled, it is known that at least 20 of the 30 militia were killed, if not all. Many were stabbed after they tried to surrender. Some of the militia, who were mainly middle-aged men and teenage boys, recognized some of the loyalists as former neighbors and friends and called their names as they begged for their lives. 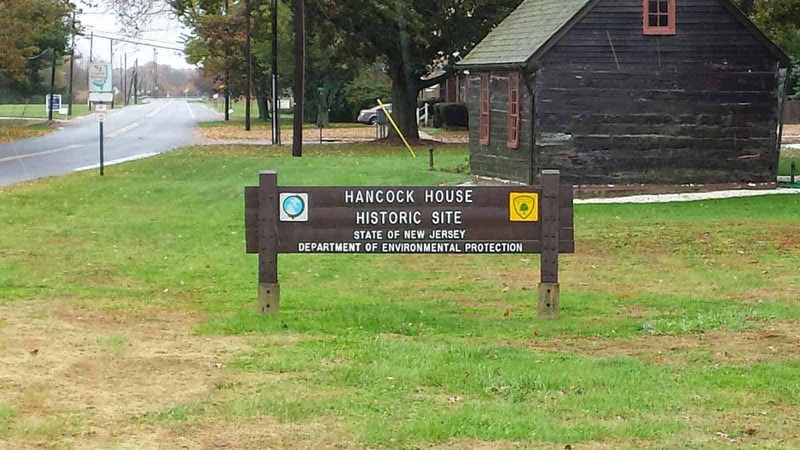 Mawhood and Simcoe brought their troops across the Delaware River to Salem on flat boats. Mawhood's mission was mainly foraging for food for the 19,500 British and Hessian troops wintering in Philadelphia. But Simcoe said he accompanied Mawhood to "chastise the rascals" of Salem County. With the British occupying Philadelphia and Washington's army of 8,200 quartered north of the city at Valley Forge, New Jersey had endured a second winter of raiding, looting, and sniping.